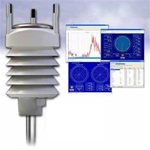 Whether you are looking for home weather stations or one for work, Scientific Sales, Inc. can help. For over 25 years, we have sold highly accurate and durable weather instruments to people and businesses throughout the world. Our specialty is providing high quality weather stations for the hobbyist or the professional that offer accurate measurements of wind, atmospheric pressure, humidity, temperature, rainfall and more measurements. Regardless of whether you are interested in a wireless Davis weather station or another one of our weather monitors we promise the lowest price with our Price Match Guarantee. 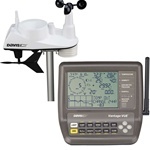 From mobile weather stations to small wireless weather stations, explore our options below to find the best weather instruments for your needs. Care to discuss a particular items before purchase? Contact us and we’d be happy to answer your questions.